U.S. Army Capt. 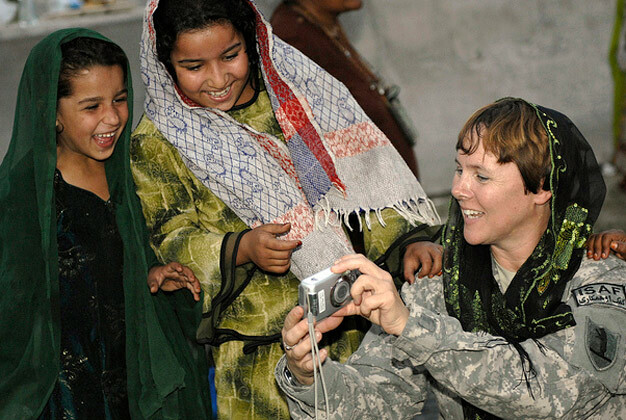 Marie Orlando shows Afghan girls photos during their weekly Girl Scout meeting at Forward Operating Base Finley-Shields, Afghanistan, on Oct. 9, 2010. Orlando is the information operations officer with the agriculture development team assigned to the base. DoD photo by Master Sgt. Bill Gomez, U.S. Air Force.